Your workstation is your oyster and this is the ultimate theme for you if you want to get people into your world. You have a knack for creativity and you see things differently. You might enjoy having a little clutter and mess, your mind works round the clock, you’re a busy person and you’re focused on your goals. You just love to be different and you value yourself as an artist with flair. That means you need a theme that brings out that creative side and which the world around you will take notice of when they step into your world and see what you’re all about. 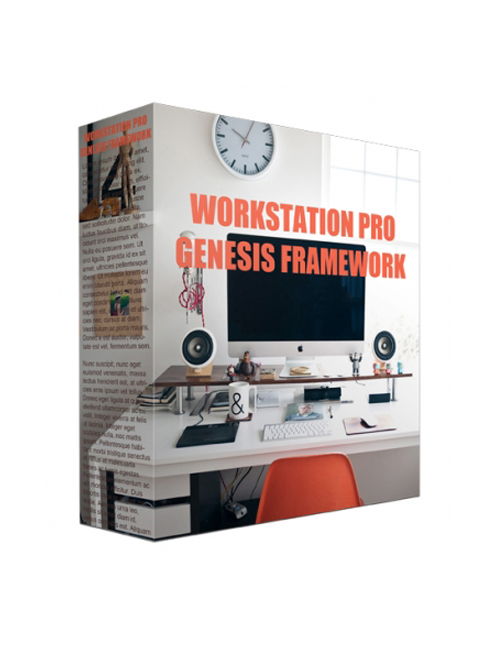 The Workstation Pro theme is a charming edition to the Genesis Framework family and what makes it great is that it shows your stuff without the overuse of words to distract from your imagery. You don’t dwell on the small things, it’s about getting your creativity across loud and clear. This theme combines classic and modern and features everything that people love about the Genesis Framework templates. As you’d expect, it’s responsive on all mediums, cleanly coded, and fully compatible. Grab this one now and let your creativity shine bright.